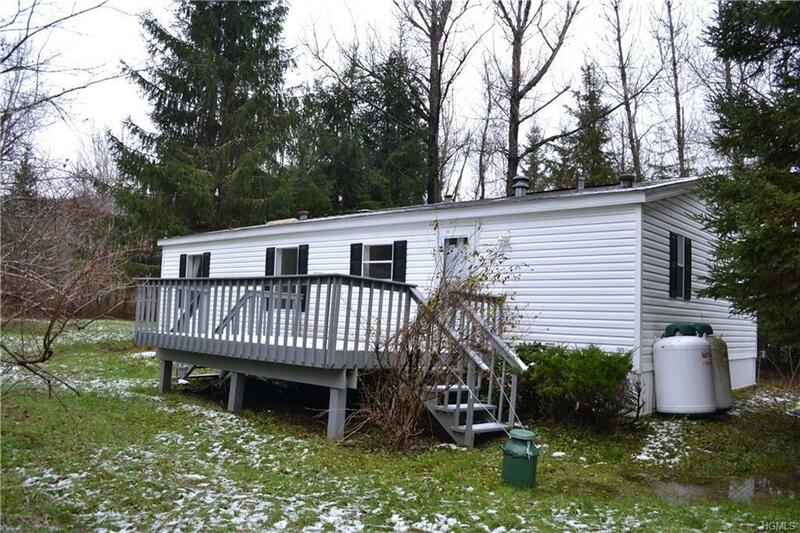 This newer double-wide trailer is in excellent condition and surrounded by a level, lightly wooded 5 acres and rear small stream. 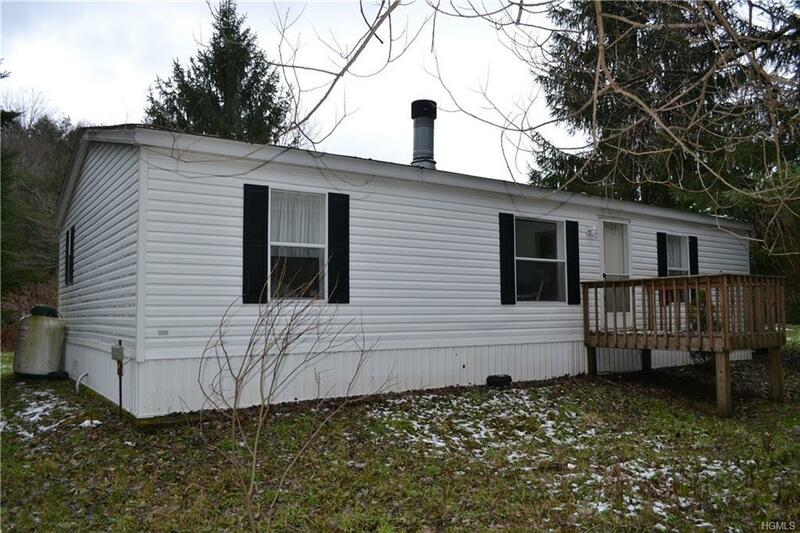 Located close to Roscoe but with low Delaware County taxes, it easily checks all the boxes for a hunting cabin or rustic getaway. 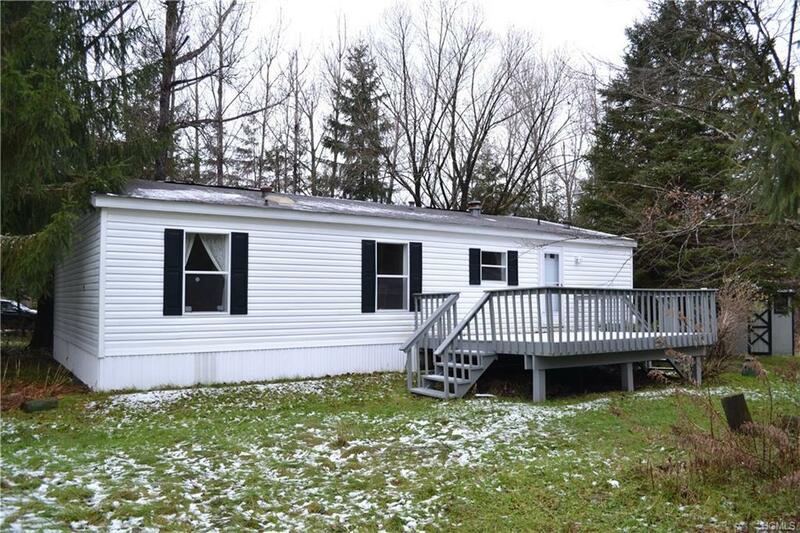 3 bedrooms and 2 full baths, owner installed all new solid oak flooring, updated the bathrooms and put in kitchen updates that leave you nothing to do but come and enjoy. Living room has vaulted ceilings and wood-burning fireplace. Low utility expense. 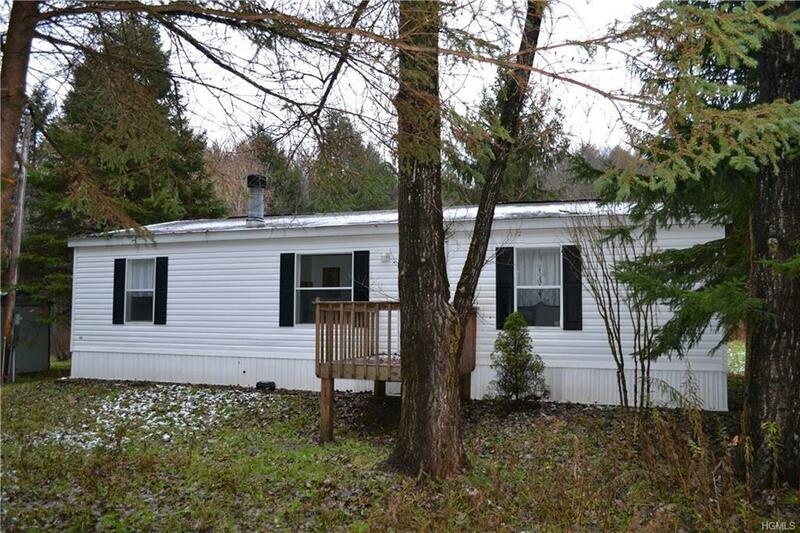 Very private and secluded property for outdoor enthusiasts, good hunting property or just relax and enjoy the quiet. Small outbuilding for storage. Dont miss this one! Listing courtesy of Deborah M. Gorenflo of Coldwell Banker Timberland.